วันพฤหัสบดีที่ 14 เมษายน 2016 เวลา 07:10 น. (CNN) "I want to find another Earth. That's what I'm living for." MIT astrophysicist Sara Seager has been looking at planets beyond our solar system, known as exoplanets, for almost 20 years. When the first ones were discovered in the 1990s, many questioned the finding and didn't think it was real. But since then, with better technology, we have observed more than 6,000 of them, most of which are giant balls of gas. Today, the list grows every week. With so many planets now coming out of hiding, the race is on to identify one that resembles Earth: a rocky world with liquid water just like ours, and suitable to host life. Seager believes she knows how to make that discovery. It's not easy to see exoplanets as you can't just look at them through a telescope. This is due to the blinding light coming from their host stars, which can be very different in size and features compared to our sun. The process is often described as trying to spot a firefly circling a lighthouse, from thousands of miles away. "As many as one in five stars like the sun could have a planet with liquid water." The first ones were discovered indirectly, in 1995, by just looking at stars to see if they would wobble slightly, responding to the pull of another object's gravity. At this time, Seager was a graduate student at Harvard searching for a topic for her Ph.D. and she was intrigued by the newborn field of faraway planets. "Since the planets were discovered indirectly, most people didn't believe that the discoveries were real. They'd say to me 'Why are you doing this? These aren't planets! '," says Seager. The contrarians weren't entirely wrong: the wobble can be caused by other factors such as another star and several planet discoveries have been retracted over time for this reason. But then a different technique was found to make their hunt easier, called transit. This is when a planet moves in front of its host star and causes the star's light to dim slightly. "One of the planets from the wobble technique showed transit: it went in front of the star at exactly the time it was predicted to and that was basically incontrovertible," says Seager. Seager did not want to simply look for distant planets. She set her sights on something more specific -- their atmosphere. She was the first person to do so. "Atmospheres are important because they're a way to look for signs of life: we look at gases that don't belong and may have been produced by some life form," she explains. 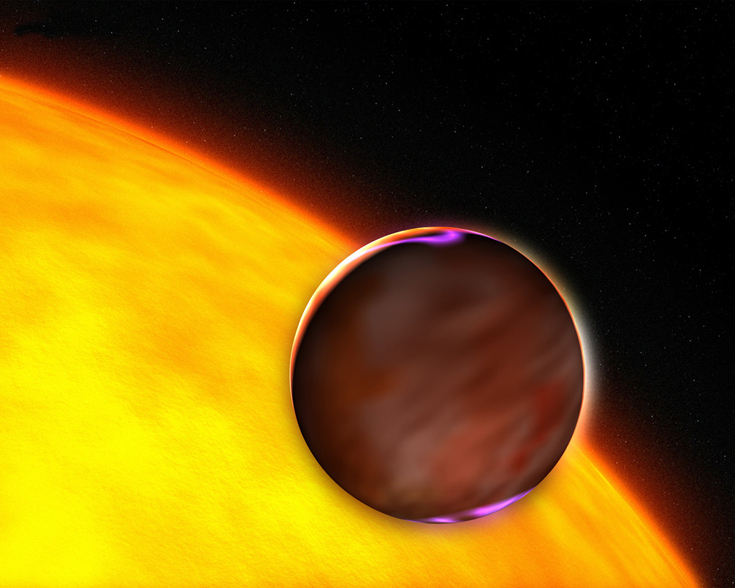 But if seeing an exoplanet is already difficult, how do you observe an atmosphere? For this purpose the light from the star can come in handy. 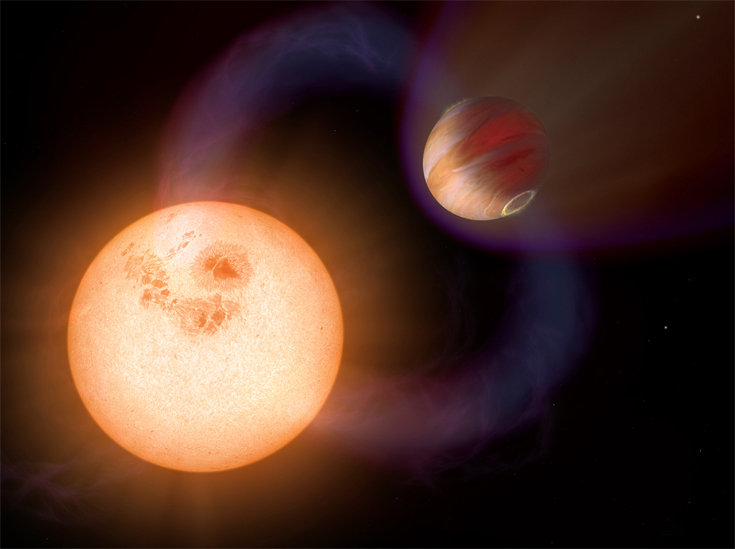 "When a planet transits in front of its star, we can very carefully analyze the atmosphere's composition, thanks to the light of the star shining through it," says Seager. The process becomes similar to looking at a rainbow. "If you look at a rainbow very closely, you see tiny little dark lines between the colors, pieces that are missing. Those lines are there because Earth's atmosphere is taking away some of the light." The dark lines are like fingerprints for specific gases and special tools can decode which ones are there. In 1999, Seager suggested that one particular element, sodium, should leave a detectable fingerprint. "It's like skunk spray: a tiny bit of sodium can make a very big signature," she says. Seager was right -- her prediction was independently confirmed two years later using the Hubble telescope. 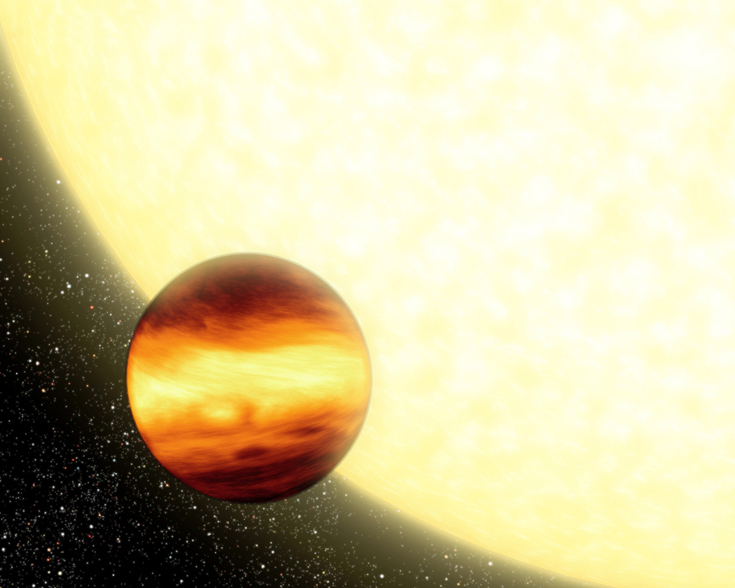 Sodium was found in the atmosphere of a "Hot Jupiter," the name given to the first exoplanets ever discovered. These are huge spheres of gas many times larger than Earth -- like our Jupiter -- orbiting dangerously close to their stars, making them very hot. 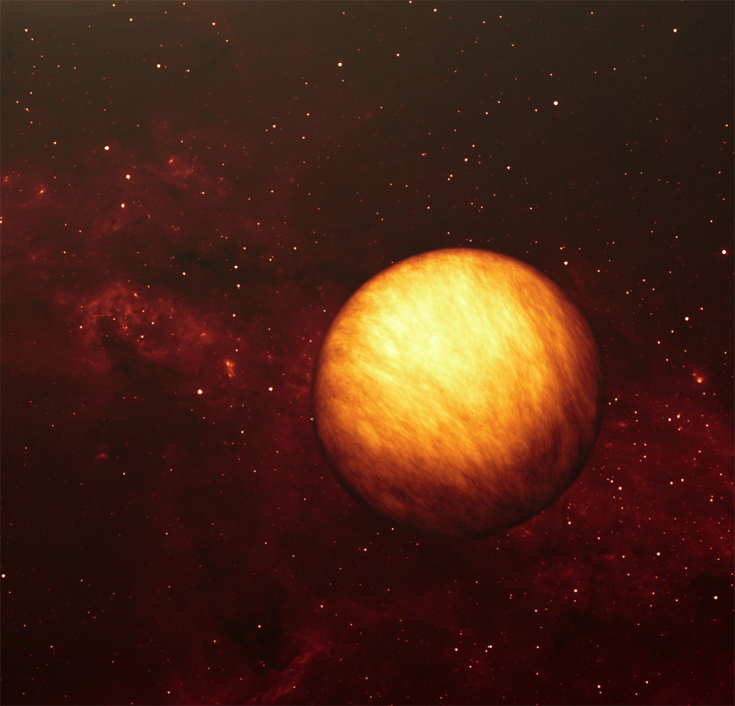 Because of their size, Hot Jupiters are the easiest exoplanets to spot, and hundreds have been found to date. But as they don't have a solid surface, they are nothing like Earth. To find life, we need small, rocky planets -- like ours. Compared to finding "Hot Jupiters", searching for rocky planets is far more difficult, mainly because of their smaller size. And when spotting gases, it's not sodium we're after. "The number one thing we want to see in a planet's atmosphere is water vapor," says Seager. We see water vapour in some of the giant planets, like Jupiter, as they have it naturally within their atmosphere. "We have not seen that yet in a rocky planet." Detecting water vapor on a rocky planet would be the tell-tale sign of a liquid ocean, and therefore the potential for life. "All life on Earth needs water, and we believe that all life needs a liquid," says Seager. The need for liquid to create life is theorized due to the chemistry of molecules, as they require liquids to react and reform into other things -- such as lifeforms. "Water is simply the most abundant liquid out there," says Seager. For a planet to have liquid water, some basic conditions must be met. The planet must be such that its surface temperature is not too hot -- or water will boil away -- and not too cold -- or it will freeze into ice. This all depends on its distance from the parent star: either too close, or too far. Astronomers call this sweet spot the "Goldilocks zone," from the children's tale "The Three Bears," in which young Goldilocks likes her porridge "Not too cold, not too hot, but just right." These planets are not rare, but the challenge in spotting them can make it seem that way. "As many as one in five stars like the sun could have a planet with liquid water. And even though this number could be wrong, as things change quickly, we know for sure that small rocky planets are not rare," says Seager. There may be billions of Earth-like planets in our galaxy alone. Out of the 6,000 planets discovered so far, approximately 2,000 have been confirmed to be actual planets -- work is underway on the rest -- but only about 30 are considered potentially habitable. In 2014, NASA found the first Earth-sized planet orbiting a star in the habitable zone. This was named Kepler-186f -- after the Kepler space telescope, used to spot it -- and is about 500 light-years away in the constellation Cygnus, the galactic equivalent of our neighbourhood since the Milky Way is about 100,000 light years across. This planet is 10% larger than Earth. Described by NASA as "a significant step toward finding worlds like our planet Earth," Kepler-186f orbits around a type of common star known as a red dwarf, which is about half the size of our sun. With our current technology, however, it's hard to know much more than the size of an exoplanet and how far it is from its star. The majority of exoplanet discoveries have been made by the Kepler space telescope, after which most of them have been named. Launched in 2009, the telescope has now entered emergency mode 75 million miles away from Earth, due to a malfunction. To study the atmospheres of potential Earth twins, scientists need new eyes in the sky. To date, Seager has only been able to study the atmospheres of a handful of exoplanets -- all gas giants -- but she's involved in a new NASA program launching in 2017 to just scout the brightest nearby stars for small rocky planets in the habitable zone. Called TESS (Transiting Exoplanet Survey Satellite), the two-year mission will accumulate data that will then be fed into the James Webb Space Telescope, the next Hubble, which is due to launch in 2018: "It's going to be amazing," says Seager. The James Webb telescope -- named after the head of NASA during the pioneering era of the 1960s -- will look at the cosmos with unprecedented clarity thanks to its use of a primary mirror about five times larger than Hubble's. It will also offer direct imaging of exoplanets by blocking the blinding light of their host stars with special instruments that make them more visible. This will allow Seager and other astronomers to study exoplanets like never before. Seager believes many of the planets in their search will be the rocky, watery worlds she's been looking for. "I'm absolutely confident they're out there." It's a golden age for planet hunters: NASA's Kepler mission has identified more than 3,500 potential planets orbiting stars beyond our Sun. 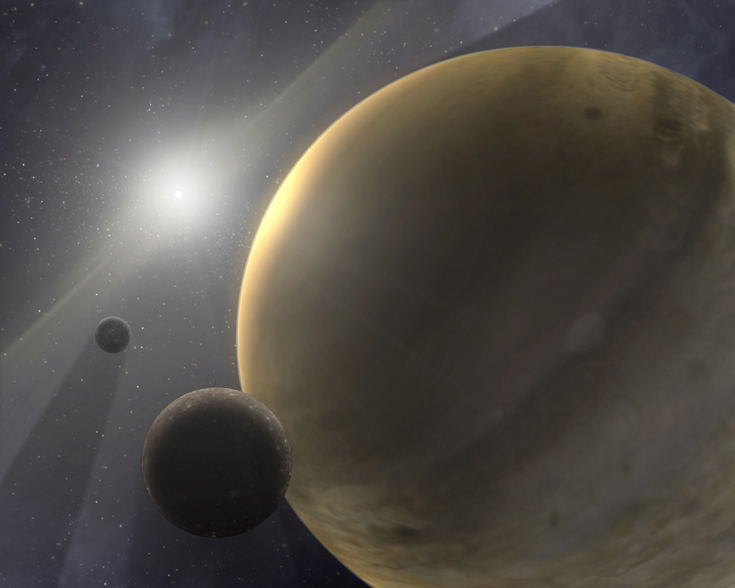 Some of them, like a planet called Kepler-22b, might even be able to harbor life. 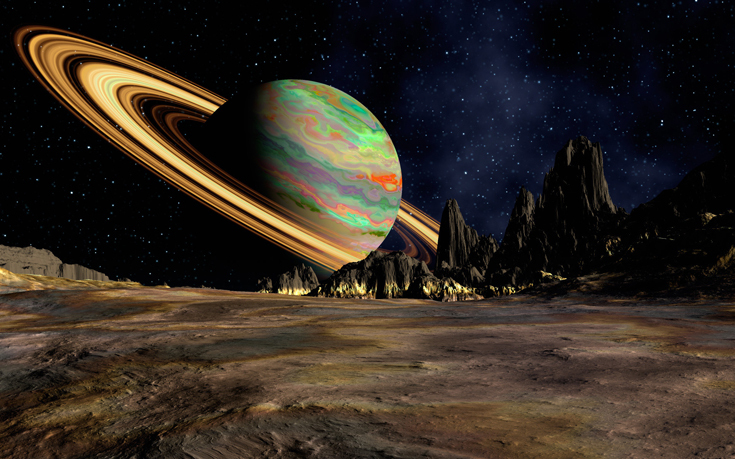 How did we come upon this distant planet? Combining startling animation with input from expert astrophysicists and astrobiologists, "Alien Planets Revealed" takes viewers on a journey along with the Kepler telescope. How does the telescope look for planets? How many of these planets are like our Earth? Will any of these planets be suitable for life as we know it? Bringing the creative power of veteran animators together with the latest discoveries in planet-hunting, "Alien Planets Revealed" shows the successes of the Kepler mission, taking us to planets beyond our solar system and providing a glimpse of creatures we might one day encounter. Aliens almost certainly do exist. So why haven't we yet met E.T.? It turns out we're only just developing instruments powerful enough to scan for them, and science sophisticated enough to know where to look. As a result, race is on to find the first intelligent aliens. But what would they look like, and how would they interact with us if we met? The answers may come to us sooner than we imagine, for one leading astronomer believes she may already have heard a hint of their first efforts to communicate. It's one of the great mysteries of science, a mystery that if solved will force us to rethink our place in the universe. Is life on Earth unique? Or is it spread throughout the cosmos? If we share the stars with aliens, why haven't we heard from them? Or are we truly alone? Space, time, life itself. The secrets of the cosmos lie through the wormhole. We've all done it. Stared into the night sky, gazed at the vast canopy of stars and wondered what or who is out there. Is there other life in the universe? Maybe on a planet like ours with water and air? Or on some other kind of planet or moon supporting an alien form of life? Why do we humans have such a connection to the night sky? The twinkling lights that seem like oases out there and yet we're not sure. 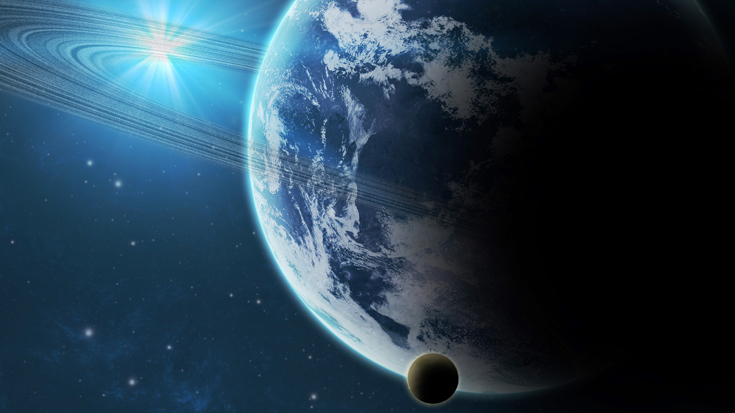 Are there habitable worlds? Around the world there are a group of highly intelligent, highly trained scientists that share a surprising belief. There are a couple of hundred billion stars just in our galaxy and at least half of them probably have planets. That's 100 billion planetary systems. How many planets in each system? let's say five. That's a half trillion, 500 billion planets out there. Keep in mind, there are 100 billion other galaxies! For these scientists the vastness of our universe can mean just one thing - the existence of life. The ultracool dwarf star, known as TRAPPIST-1, isn't the kind of star scientists expected to be a hub for planets. It's at the end of the range for what classifies as a star: half the temperature and a tenth the mass of the sun. TRAPPIST-1 is red, barely larger than Jupiter and too dim to be seen with the naked eye or even amateur telescopes from Earth. But these tiny stars, along with brown dwarfs, are long-lived, common in the Milky Way and represent 25-50% of stellar objects in the galaxy, said study researcher Julien de Wit, a postdoctoral associate with MIT's Department of Earth, Atmospheric and Planetary Sciences. Over the course of 62 nights from September to December 2015, researchers led by Gillon used a telescope, also called TRAPPIST (transiting planets and planetesimals small telescope), to observe its starlight and changes in brightness. The team saw shadows, like little eclipses, periodically interrupting the steady pattern of starlight. Using a telescope that can detect infrared light added an advantage that visible light camera programs don't provide. "It's like standing in front of a lamp and throwing a flea across it," said professor Adam Burgasser of the Center for Astrophysics and Space Science at the University of California San Diego. 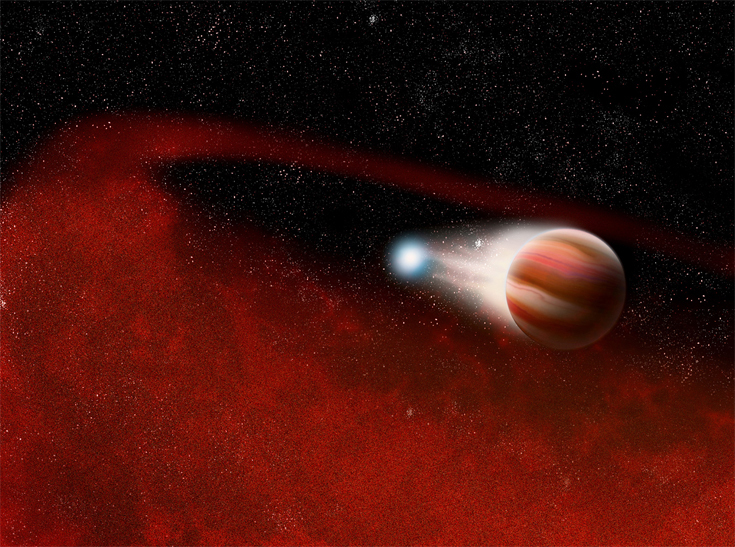 "It was only a 1% dip in light, but the specific pattern was a good sign of orbiting planets." The planets are about the size of Earth and given the proximity of two of them to the dwarf star, they receive about four times the amount of radiation than we do from the sun, which suggests they are in the "habitable zone." According to Burgasser, the "habitable zone," determines how close a planet is to the star that it orbits and given the temperature of the planet based on that proximity, it could have water on the surface. This core ingredient for life as we know it also suggests there could be an atmosphere and habitable regions on the planets themselves. The planets are the perfect target to be studied at 40 light-years away, but that doesn't mean we will reach them anytime soon. 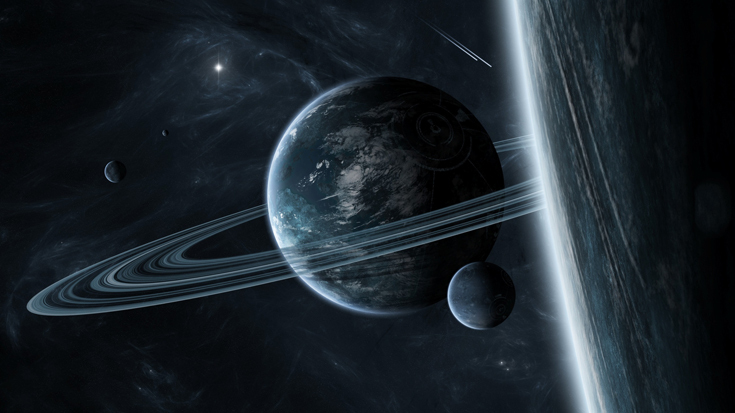 With current technology, it would take millions of years for an expedition to reach these planets. But from a research perspective, they provide a close opportunity and the best target to search for life beyond Earth and our solar system. What we find also could change how we determine the creation of life as we know it. The telescopes these researchers use to study the planets are even more precise than Hubble. In 2018, they can begin using the James Webb Space Telescope, which will allow the scientists to observe the shell of an atmosphere if it exists for these planets, and even what chemicals comprise that atmosphere. It will also provide more detailed information about the planets' composition, temperature and pressure, according to de Wit. "We've shown that these kinds of stars are a way to find Earth-like planets," he said. "Over the next few years, we can explore the space around this one and pin down their orbits and see if there are other planets in this system." Burgasser, who has made the study of dwarf stars his life's work, says that TRAPPIST-1 was initially studied quite a bit, but the planets around it have not been revealed until now. "It's like you've known this good friend your whole life and suddenly find out that they're royalty," he said. "What else could we find out about other 'old friends' that we previously studied if we went back?" Are we alone in the universe? We may be very close to finding out. The Holy Grail of space science is the discovery of a planet just like ours: the right size, the right orbit around its sun, not too hot, not too cold – in the area dubbed the Goldilocks Zone. For millennia humans studying the stars had no idea if there were any other planets outside our solar system, let alone ones similar enough to ours to sustain life. 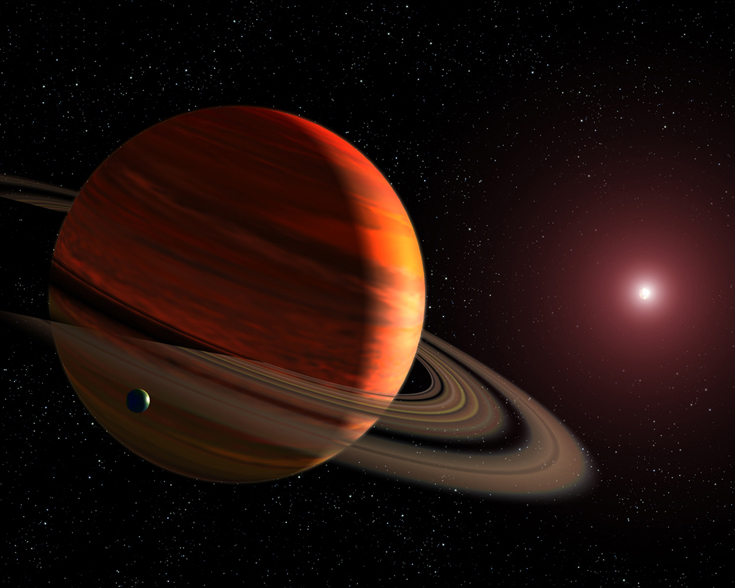 The first extra-solar planet – or exoplanet – was only discovered in 1995. Now, a new space-based telescope has discovered thousands more, and some of them may be just like Earth. If the Kepler Space Telescope's discoveries are verified, and if what is true for this one tiny randomly-chosen area of the cosmos is true throughout, then our universe is probably chock full of habitable planets. This discovery would have enormous implications for the possibility of extra-terrestrial life. We would move from slim chance to great likelihood in one giant step. And we're about to take that step.